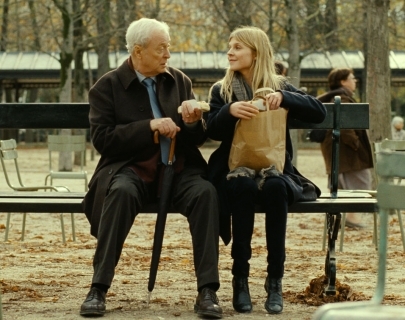 Michael Caine and Clémence Poésy star in this bittersweet look at the life-changing connection between a retired American philosophy professor and a young Parisian woman. Caine is Matthew Morgan, a man weary of the world and moving stubbornly into old age. When Pauline, a young French woman reaches out to help him on the bus, Matthew’s eyes are reopened to the possibilities of happiness. Finding solace in each other, they both manage to forge new relationships with others; Pauline embraces a new kind of family while Matthew reconnects with his estranged son Miles, who in turn finds himself deeply affected by the changes in his father.